Biz Goals is the ebook that educates on all the tactics and practical information you need to create the solid platform you need to succeed in your online business. This is a basic guide that will show you step by step everything you need to know in order to create your biz goals and succeed in reaching them. There are so many opportunities online to make a heck of a lot of money when you have the correct information and blueprint to develop from. Inside you will learn the proven tactics to build your business and keep it simple. So many online business owners believe their set goals need to be paper trailed and detailed. That’s just not the case. You will learn you need to set goals but the simpler the better, at least until you are visible online and driving quality niche traffic to your website. 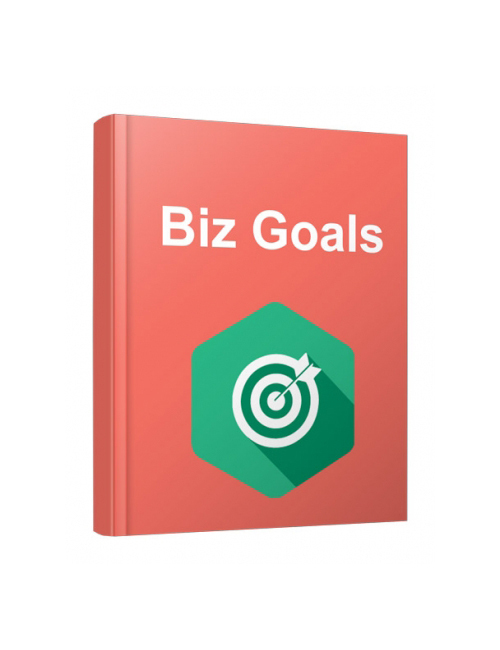 Biz Goals shows you how to set your online business goals and succeed.